Our Instruction program is now open for business, and if history is any example, classes will fill very fast. If you're interested at all in taking any classes, I'd suggest that you sign up as quickly as you can to get your most-desired dates and times. Our recently-held annual meeting highlighted plans for our many sailing programs during the coming season (see article below). Four new directors were elected to our Board at the meeting, and we look forward to their contributions to our ongoing success. And this reminds me that Sail Chicago is one of the very few community sailing programs in the nation that has no paid staff. What we do have, however, a group of volunteer members who are passionate about sailing and who want to share their enthusiasm with others. I also know that an all-volunteer organization can have an occasional downside. Sometimes things don't happen as quickly as we would like, and occasionally stuffcan fall through the cracks. On the other hand, our volunteer spirit has allowed us to keep our costs extremely low while at the same time providing adequate funds to sustain our continuing fleet maintenance and renewal programs. We've recently added another Colgate 26 to our fleet, bringing the total to eight. This will give us added flexibility in programming, and it will allow our members more opportunities to reserve our Colgates for private use. 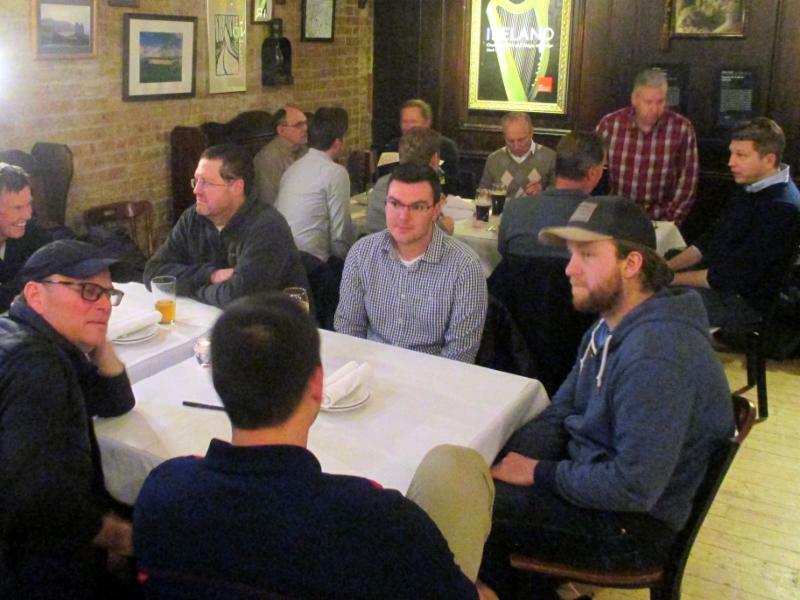 On Thursday, March 7, more than 60 Sail Chicago members and friends gathered at Chief O'Neill's Pub and Restaurant to enjoy a meal together, to review the prior year's activities, and to learn of new plans and programs for the coming sailing season. Members enjoyed dinner as well as an informative annual meeting. Chairman Chris Schuler called the meeting to order and gave a summary of lastyear's activities. Our membership grew to 325 in 2018. In addition to our ongoing mutually beneficial relationship with the Columbia Yacht Club, we have recently established contact with the Jackson Park Yacht Club, and we are planning several joint activities with them. Treasurer, Martin Modahl, reported that Sail Chicago ended a successful financial year with a strong balance sheet and a healthy net income. Matt Stuczynski, our Lead Instructor, reported that we made 52 new Colgate skippers last season. He stated that the new wind guidelines approved by the Board last year had helped in preventing several serious accidents. A goal of the Instruction Program is to have all Sail Chicago instructors certified as Basic Keelboat Instructors within three years. Dan Maloney, Co-Racing Coordinator, summarized some new and exciting plans for racing during the coming season. Cost for participation will remain the same - $75 for the entire season. Racing's new motto is, "Let's have fun, be safe, and don't break things." Joe Cannon, Maintenance Coordinator, outlined new goals and programs for the coming year. New this year will be a "Maintenance Boot Camp" for new members. Moorings for some of our Colgates have been moved farther back into the mooring field where the water is less choppy. Members interested in meeting their service requirements through maintenance should look at the "Announcements" section of the my.sailchicago.org website. Four Directors whose terms are ending are Sarah Wirth, Bob Lapin, Shawn Lord, and Brian Johnson. Our thanks to these folks for their loyal service. New Board members elected at the meeting are Norris Larson, Nick Brait, Rachel Granneman and Bhargav Patel. If you missed the meeting but would like to review the presentation slides, link to my.sailchicago.org/membership/files/annual meeting. Preparations are well under way for the 2019 sailing season, and we still need help in various areas, both hands-on and remote. Many members have already been helping at the boatyard with spring prep work. 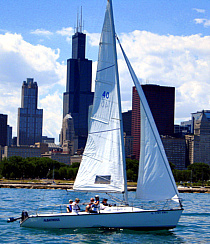 For more information, members should log in to see the "Announcements" section on the my.sailchicago.org website. As a reminder, members must fulfill their service time requirement to be eligible for on-the-water privileges. First-year members are exempt from this requirement, but are welcome to help if they wish. Second-year members must sign up for a job by May in order to have their service time requirement met for the season. Members must complete the job they signed up for during their second season to have their service time satisfied for their third season, etc. ("pay it forward" system). An opt-out fee of $400 is available for members who would prefer not to sign up for service time. Social Coordinator: In charge of the Sail Chicago social planning committee which organizes and executes social events for the club throughout the season. Social Committee Members: Assist the Social Coordinator with event planning and execution. Course Scheduler: Communicates with instructors via the Instructor Preference Survey as well as email to develop the Core Course Instruction Schedule. Remote. Strictly Sail Show Coordinator: Arranges for a Sail Chicago booth at the Strictly Sail Chicago Show (part of the Chicago Boat & RV Show) at the end of January, makes sure that all fees are paid, works with the Marketing Coordinator for marketing materials to hand out, and makes sure that the booth is staffed with Sail Chicago volunteers. Strictly Sail Assistant: Schedules Sail Chicago member volunteers to staff the booth during the Strictly Sail Chicago Show and assists the Show Coordinator in setting up and taking down the booth before and after the Show. Volunteer Service Time Tracker: Assists Volunteer Coordinator with tracking member service time fulfillment during the season and follows up with members at the end of the season. Boat Team Members: Assist with weekly maintenance and upkeep of assigned boat throughout the sailing season. Please reference the Sail Chicago org chart for current openings. Please email me for further detail on these roles, to sign up for a role, or with any other questions regarding service time. All maintenance planning and scheduling is now accomplished using the collaboration app, Slack.com. 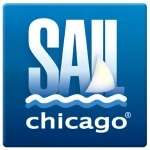 Members can sign up on the Landing page at my.sailchicago.org. When the boats are ready, the river trips will be scheduled using the spreadsheet protocol established last year. These spreadsheets will be accessed through the Landing Page when the time comes. The southern end of the Monroe mooring field provides easy access, but exposes the boats to rather rough conditions. We are experimenting with a few new locations that are more sheltered, but pose slightly increased navigational challenges. Riverfolk will be on B-3, Meridian will be on U-1, and our new boat, Poco Veliero, will be on V-2. All other boats will remain on the same moorings as last year. We hope this is a simple but definitive solution to a recurring problem. Thank you Jim! 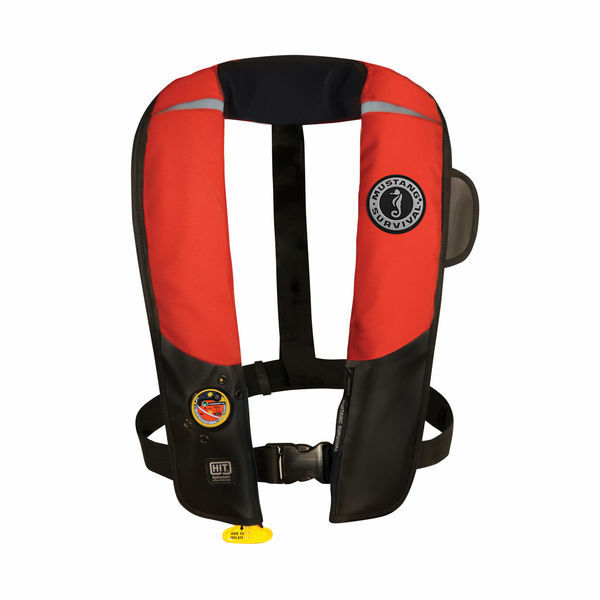 The U.S. Coast Guard has recently issued guidelines for the use and maintenance of inflatable life jackets. To read more, please click here. Thanks to Sail Chicago member Ed Schroeder for passing along this valuable information. Why is practicing crew overboard drills so important for our members and students? This video answers the question. When a young sailor fell overboard during a roll tack, her teammate at the helm was able to get her back on board in less than a minute. Let's all keep practicing this maneuver. Thanks to member John Lemon for posting it on the Sail Chicago Facebook website. During a recent visit to Sydney, Australia, I was admiring the city's beautiful natural harbor when a three-masted ship hove into view. She was motoring under the famous Harbor Bridge, but there was no mistaking her 18th-century build. I immediately suspected I might be seeing the Sydney Maritime Museum's replica of Captain Cook's Endeavour. A walk the next day over to Sydney's Darling Harbor confirmed my suspicion. Endeavour had just returned from a cruise and was now docked at her berth by the Maritime Museum. Captain Cook, Britain's great sailor and explorer, looms large in Australian history. It was he who explored and first charted the Australian east coast during the years 1768-1771, sailing His Majesty's Bark, Endeavour. On this voyage, Cook also circumnavigated the two islands of New Zealand, proving them to be not part of a semi-mythical southern continent, Terra Australis. 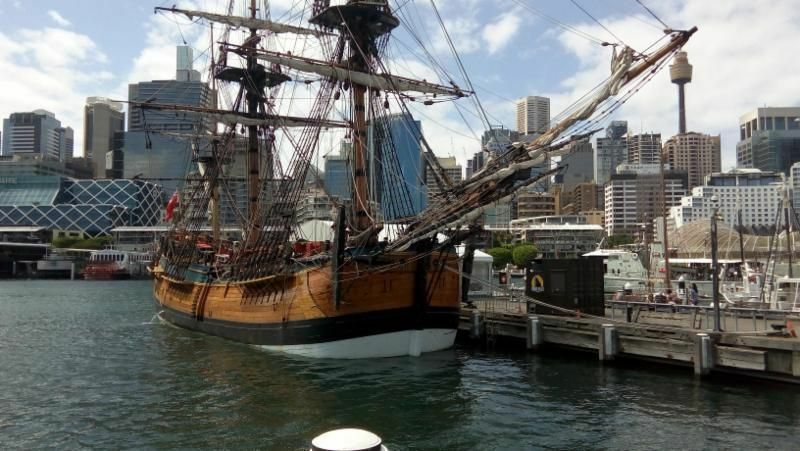 Today, the replica of Endeavour makes her home at the Sydney Maritime Museum. But she still makes a number of sea voyages during the year, including one all the way to New Zealand. Adventurous amateur sailors can sign up to act as crew on these voyages. Those who sign on must work the ship as they did in olden days, including climbing the masts and sleeping in hammocks. If you're planning a trip down under and you're ready for this kind of adventure, you can check out details here. Maybe you could even get a book out of it: Ten Days before the Mast. Worked on a way to identify student progress within the Sail Chicago website directory. Many thanks to the following Sail Chicago instructors who devoted several winter Saturday and Sunday afternoons in order to improve our instruction: Clement Auffray, Iwona Awlesewicz, Melchior Dikkers, Norris Larson, Jim Monk, Dan Pilch, and Dan Stein. "They should have sailed more towards the windward side or middle of the body of water they were in, staying a healthy distance away from a lee breakwater. If they could not have held that point of sail, then tack, backing the jib if necessary, or using auxiliary power and putting some safe distance between themselves and the rocks before tacking back and continuing on their way."